An IVC filter is a medical device intended to keep blood clots from entering the lungs. However, this device has been known to malfunction, and the consequences of an IVC filter malfunction can be as bad as or worse than the condition it was intended to prevent. As patients harmed by this defective medical device have begun filing lawsuits against the product makers, word has come out that seems to show the device makers knew of the defects yet pushed their product through the regulatory process using unsavory means. The medical products liability attorneys at Magaña, Cathcart & McCarthy help people who were harmed by broken IVC filters and other defective medical devices. An inferior vena cava (IVC) filter is a device inserted into the inferior vena cava, a major vein that carries deoxygenated blood from the lower extremities to the heart. When a blood clot forms in the leg because of deep vein thrombosis (DVT) or some other reason, the concern is that the clot may break loose and travel through the bloodstream, ending up in the lungs and causing a pulmonary embolism, a condition which can be fatal if not treated. Although anticoagulants or blood thinners are often used to break up blood clots, not every one can take blood thinners due to other medical conditions they may have or other medications they may be taking. For this reason, IVC Filters are inserted into the inferior vena cava to trap blood clots before they enter can enter the lungs. Eventually, the clot breaks up and is rendered harmless. Unfortunately, these devices have been known to break up into pieces and travel to other parts of the body, puncturing veins and vital organs. Often they settle in or puncture the heart itself. The U.S. Food and Drug Administration (FDA) issued a safety communication in 2010, warning of the risks that the IVC filters could break up, travel through the body and puncture organs. The FDA recommended that the filters, which were designed to be retrievable, should be removed from the body as soon as the patient was no longer at risk of dangerous clots. This communication was updated in 2014, more specifically recommending that the filters should be removed by the 54th day after they are implanted. By this point, however, many patients had already been harmed. In many cases, a fractured IVC filter has traveled to the heart, where it may have to be removed through open heart surgery. Sometimes, removal surgery is not even possible, as the device has become too firmly embedded in a blood vessel or organ tissue. Over 900 adverse events have been reported regarding IVC filters, and over 100 lawsuits have been filed against medical device makers C.R. Bard and Cook Medical, with five different IVC filters as the subject of the various lawsuits. These lawsuits are pending in state and federal courts across the country, including class actions in California state courts and consolidated multidistrict litigation in federal courts in Arizona and Indiana. At least one lawsuit settled in February of 2015. These lawsuits are based on a variety of legal theories, including negligence, breach of warranty, negligent misrepresentation, and products liability claims including defective design, defective manufacture and failure to warn. Back in 2004, device maker C.R. Bard commissioned an internal report comparing the fracture and migration of new IVC filters compared to previous models. The report issued by independent consultant Dr. John Lehmann, now known as the Lehmann report, found a higher incidence of complications from the newer models. Dr. Lehmann stated that further investigation is “urgently warranted” regarding the safety of these devices. These devices nevertheless made it to the market. C.R. Bard has been fighting strenuously to keep this report out of the trials and out of the hands of the juries, arguing it is their own private “work product” and therefore privileged from discovery in litigation. The courts so far have differed in their decision on what to do with the report. At least one California court refused to order its destruction in litigation over Bard’s IVC filters. One of the latest and most dramatic turns in this ongoing litigation is an NBC news investigation which shows that Bard may have forged a signature in order to get FDA clearance for its device. According to the report, Bard hired a regulatory specialist back in 2002 to help it gain FDA clearance for one of its IVC filters, after having had their application denied. When the specialist refused to sign the application due to concerns over the device’s safety, Bard apparently submitted the application with the specialist’s signature on it, although she denies it is actually her signature. About 250,000 IVC filters are implanted every year, including a number of different devices sold by 11 different device manufacturers. If you had an IVC filter implanted and experienced a serious health issue, it may have been due to a defective device malfunctioning in your body. Talk to an attorney who can evaluate your claim and let you know whether you may be entitled to compensation for your additional medical expenses, pain and suffering, and other legal damages. 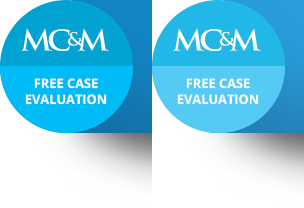 In California, contact Magaña, Cathcart & McCarthy for a free consultation from a team of attorneys well-versed in defective medical device litigation.